Word and Office’s absence on MacOS has long restricted consumers who want to buy a MacBook over a PC. This has changed as Word has recently become available on the Mac. 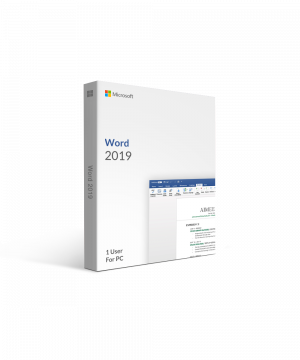 If you want to research more about what Microsoft Word has to offer, read more below. 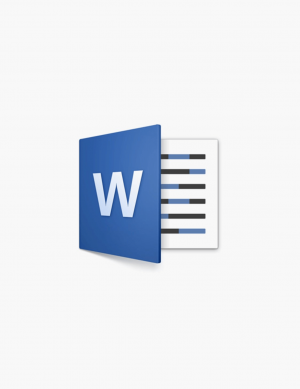 Word 2016 is the most recent version of the word processor. It contains all the features you’d expect in a Word program, such as the ribbon at the top which helps you find the commands you need. Even though the software is familiar, this certainly isn’t a standard upgrade from previous versions of Word. Word 2016 comes with many new features, such as the new Tell Me function which lets users search for tasks by typing them in instead of poking through the ribbon. Insights, the program’s new smart search feature, searches through your documents and the web all by just right-clicking a word. Word 2016 is also connected to the cloud, making saving and archiving documents simpler. You will also have access to impressive new collaboration abilities through OneDrive, such as the ability to work on a document with coworkers in real time. You have a few options if you want to purchase Microsoft Word for Mac. You can buy the program on its own, although this option is not recommended because it is more cost-effective to buy an Office for Mac suite, which contains other useful Microsoft programs. The various Office suites available for Mac are offered in two variations: offline Office 2016 suites and Office 365. The traditional Office 2016 suites are a single purchase for a single computer and can be purchased in physical form or downloaded over the web. Office 365, in contrast, is subscription-based and requires a monthly or yearly fee to use. The subscription package has many advantages, such as the software staying updated for as long as you continue to subscribe. Home & Student: This suite includes the common Microsoft programs such as Word, Excel, PowerPoint, and OneNote. Home & Business: This suite includes those programs and also includes Outlook email. Personal: All the core Microsoft Office programs, Outlook, 1 Terabyte cloud space on OneDrive and 60 minutes a month on Skype, only usable on one computer. Home: The same as Personal, but adds multi-device download capabilities. Business: Similar to the Home package, but targeted at businesses. When you’ve landed on the right software suite for you, make sure to make your purchase at SoftwareKeep.ca. At SoftwareKeep, we guarantee the lowest price online. We have experts available to help you choose the right package for you and to assist you in the download process at all times. Visit us today at softwarekeep.ca, or call us at +1 877-285-1036.